Rodolfo Saracci qualified as MD and subsequently as specialist in internal medicine He holds a postgraduate degree in medical statistics. He is a Fellow of the UK Faculty of Public Health. 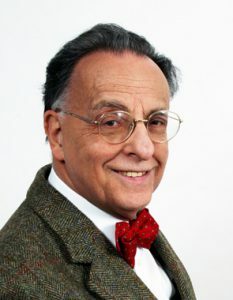 After four years in hospital clinical medicine he ‘discovered’ epidemiology at the MRC Statistical Research Unit in London – directed by the late Sir Richard Doll – that he had joined in 1964 for training in clinical trials methodology. His now long career as a research epidemiologist has been principally developed at the WHO International Agency for Research on Cancer (IARC) in Lyon as a staff member and Chief of the Unit of Analytical Epidemiology. He is currently Senior Visiting Scientist at the IARC , emeritus Director of research in epidemiology at the National Research Council in Pisa and Adjunct Professor of Epidemiology in the University of Aarhus. He is Director of the European Educational Programme in Epidemiology, which holds an annual residential summer school in Florence, since its inception in 1988. His main research and interests has been on cancers in relation to the general, domestic and occupational environment, interactions between carcinogens and methods of exposure assessment in the context of epidemiological studies. From 1982 to 2005 he has chaired the Ethics Review Committee of IARC and has taken active part in the CIOMS projects in biomedical ethics as a member of the drafting group of the 2002 International Ethical Guidelines for Biomedical Research Involving Human Subjects and as co-rapporteur of the 2009 International Ethical Guidelines for Epidemiological Studies. He has been President of the ADELF, Association des Épidémiologistes de Langue Française (1981-1986) and of the IEA, International Epidemiological Association (1996-1999) that he represents within the CIOMS Working Group on the Revision of the Ethical Guidelines.